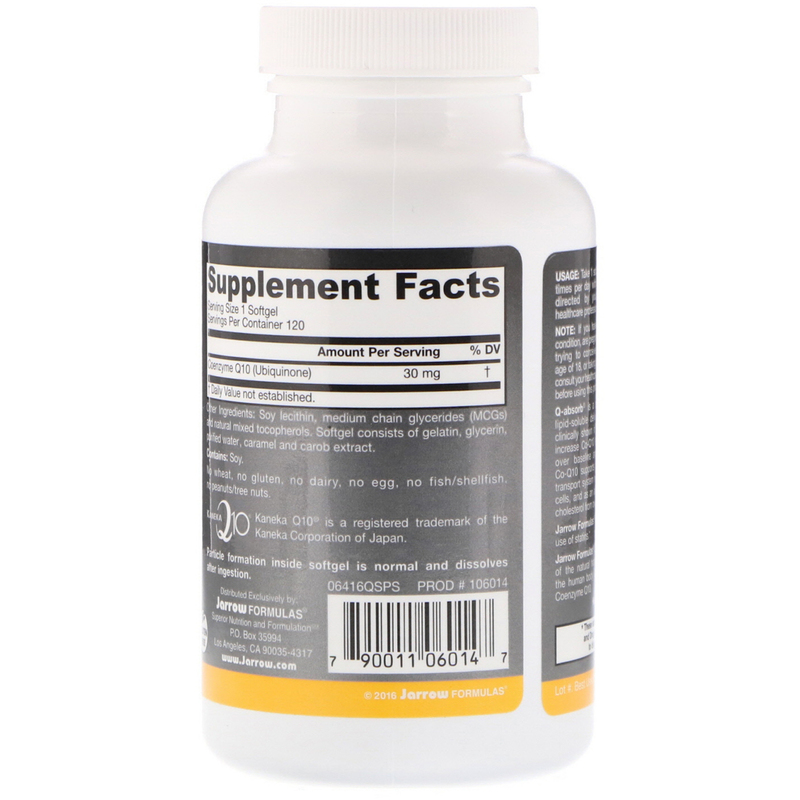 Jarrow Formulas uses exclusively natural (trans-isomer) Coenzyme Q-10 manufactured by Kaneka of Japan. Positively the highest quality in the world! Also, our inventory is very fresh. We order this product directly from Jarrow Formulas every month. 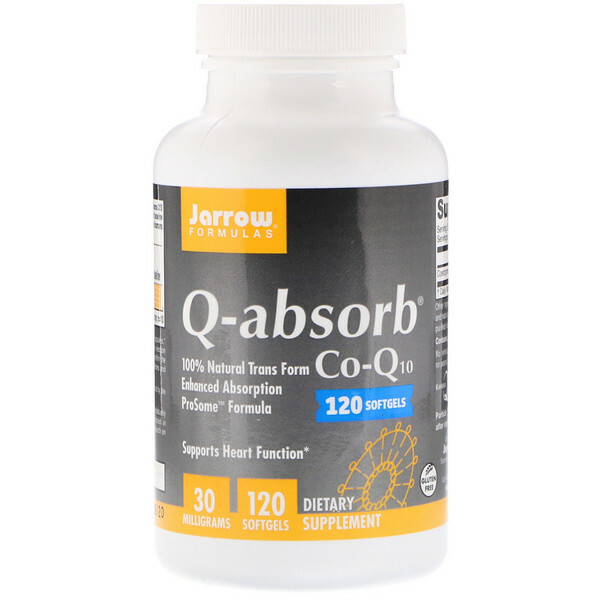 Q-absorb is a proliposome lipid-soluble delivery system clinically shown in humans to increase Co-Q10 levels 200% over baseline and at least 40% higher than dry capsules. Co-Q10 supports heart function as a component of the electron transport system needed for ATP (i.e., energy) production within the cells, and as an antioxidant protects mitochondrial membranes and cholesterol from oxidation. Jarrow Formulas Q-absorb restores Co-Q10 levels reduced by the use of statins. Soy lecithin, medium chain glycerides (mcgs) and natural mixed tocopherols. Softgel consists of gelatin, glycerin, purified water, caramel and carob extract.